Distinction in the Details. Elegant and refined, the Manhattan office furniture collection brings polished performance to your work place. 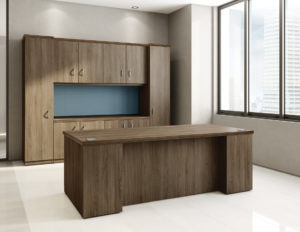 Its generous surfaces and unique contours make an immediate impression, and a wide range of work surface and casegood options lets you configure for almost any space or task. 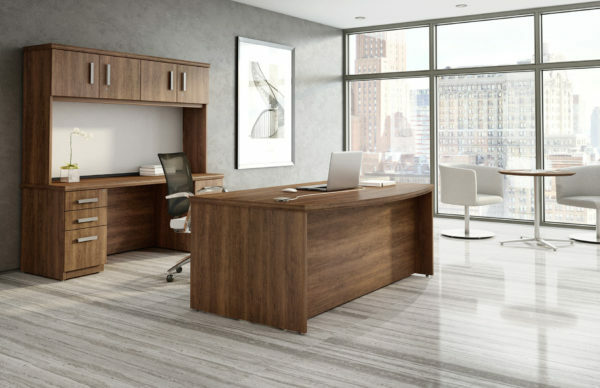 The Manhattan Collection by Logiflex features office desks, reception desks, executive desks, and storage solutions in a variety of arrangement options. 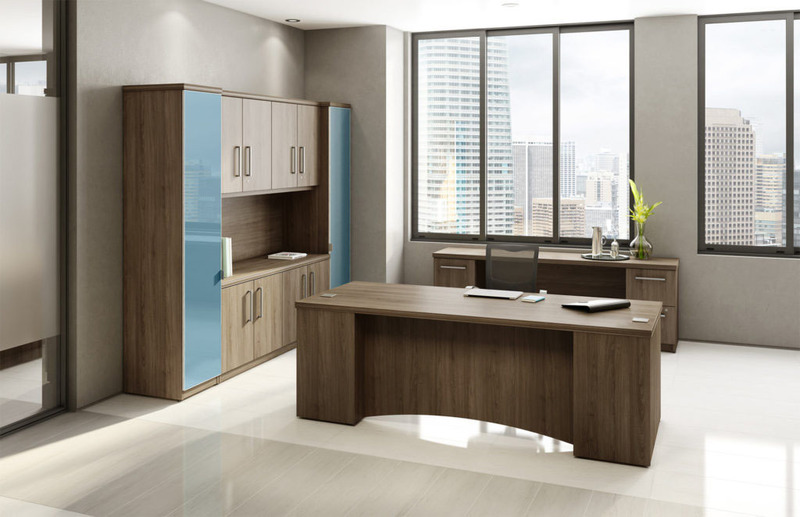 With a classic, executive style these desks and storage solutions command attention. 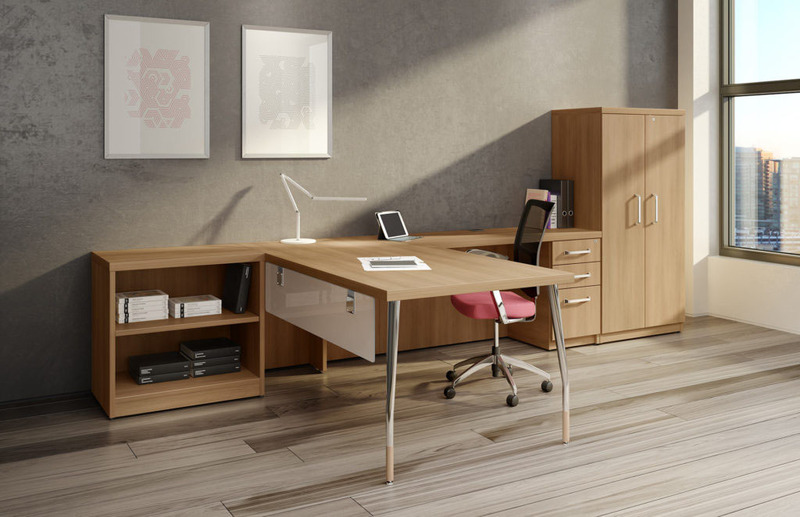 Stylish – Executive-style desks and multi-component storage arrangements command attention. Storage – Modular desking and storage solutions deliver sleek functionality. Options – Striking reception stations welcome visitors with stylish professionalism. Durable – Eye-catching mouldings and richly textured finishes create visual appeal, while thermally-fused and high-pressure laminates ensure durability and performance. 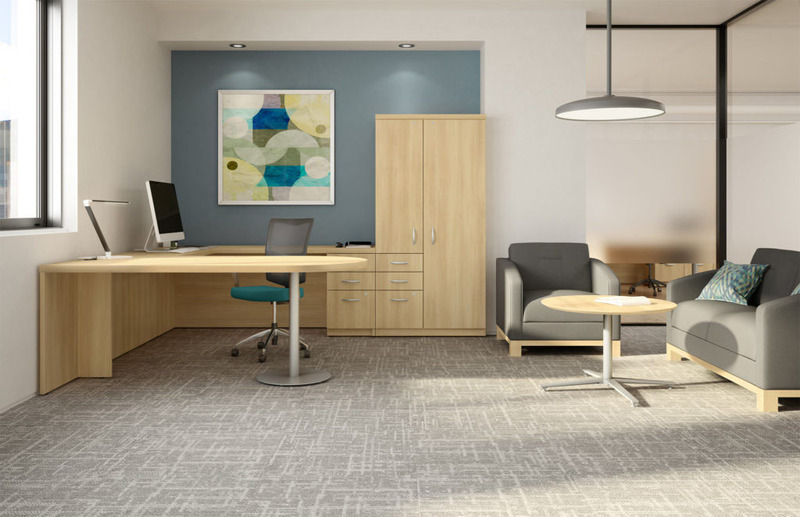 Eco-friendly – Greenguard certification means low emissions for a healthier office. Some Manhattan components may be compatible with other Logiflex collections. Please contact a Source team member for more information.